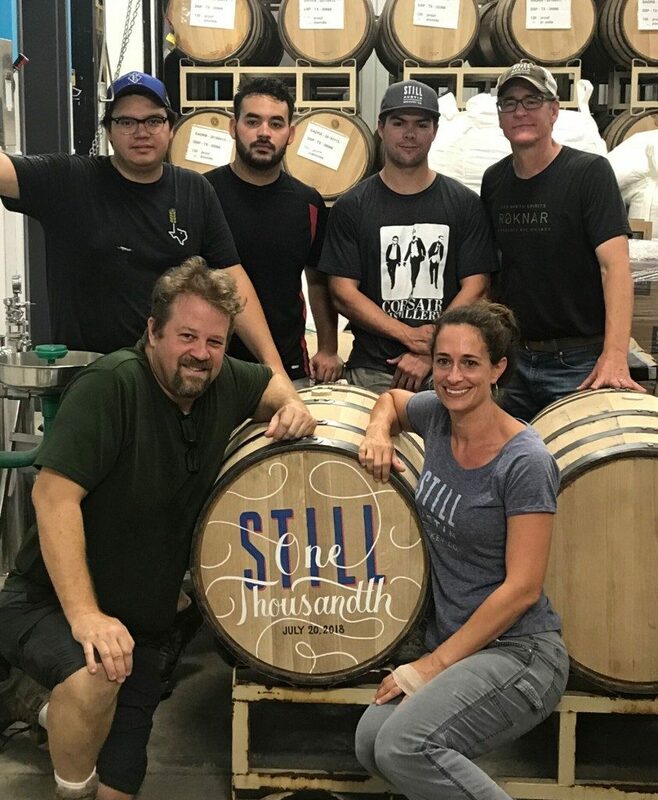 (Austin, TX) – Austin’s first grain-to-glass urban whiskey distillery, Still Austin Whiskey Co., hit a major milestone on Friday, July 20th as they filled their 1,000th whiskey barrel. 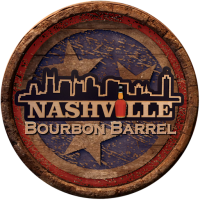 Open as of September 23, 2017, the distillery is still in its first year of operation, but has shown considerable growth within the short time span. One of the more recent distilleries to enter the new wave of craft spirits, Still Austin Whiskey Co. is a 100% grain-to-glass distillery and handles all milling, mashing, fermenting, distilling, barreling and bottling in house. Through their relationships with Texas farmers, Still Austin Whiskey Co. utilizes local grains, limestone-filtered water, and the Texas climate to make bold whiskey expressions unique to Austin. 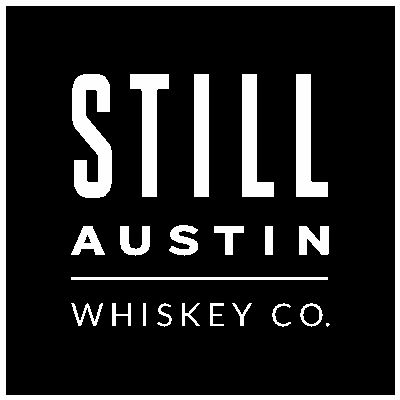 Still Austin Whiskey Co. made the bold move of opening with three, fresh-off-the still new make whiskeys – the Signature New Make whiskey, Mother Pepper, a spicy rendition featuring local peppers, and Daydreamer, a citrus infused whiskey. All three whiskeys recently received medals at the 2018 San Francisco World Spirits Competition. Still Austin Whiskey Co. was named “Best Whiskey Distillery” in Austin Monthly Magazine’s August “Best of ATX 2018” issue. 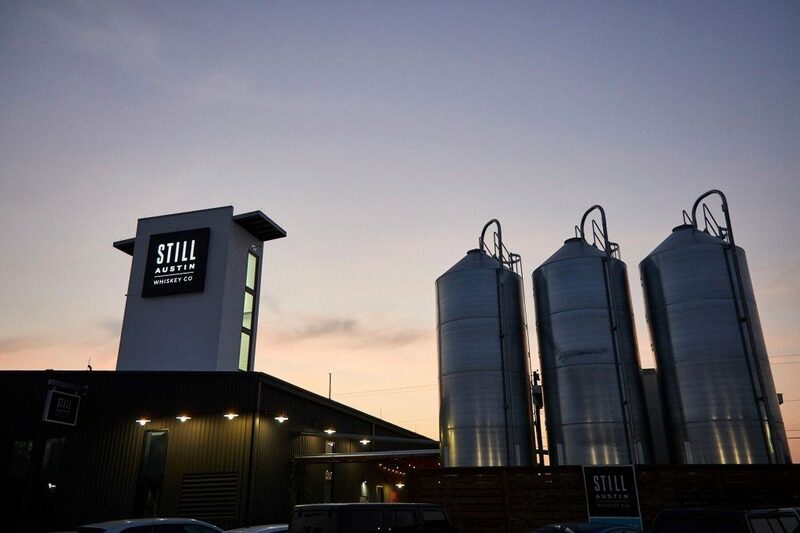 About: Still Austin Whiskey Co. is a grain-to-glass distillery dedicated to transforming simple grains into amazing spirits. All spirits are made by hand in Austin, Texas from grains provided by Texas farmers. Still Austin Whiskey Co. is committed to creating Texas expressions of American Craft Whiskey; by making spirits from scratch, quality is ensured at every step. Spirits are sold and served in their tasting room and are available in bars, restaurants and liquor stores. The distillery is located at 440 East St. Elmo Road, Austin, Texas 78745. Tasting room hours are Thursday: 1pm – 9pm, Friday: 1pm – 11pm, Saturday: Noon – 11pm and Sunday: Noon – 6pm. Tours and tastings are available Thursday & Friday: 2pm, 4pm, 6pm, Saturday: 1pm, 3pm, 5pm, 7pm and Sunday: 1pm, 3pm, 5pm. For more information visit www.stillaustin.com. Visit on Facebook at Facebook.com/StillATX and follow on Twitter @StillAtX and Instagram @Still_ATX.